Iran claims the United States supports anti-Iranian groups in the Islamic Republic, while America argues that a recent move to start Azeri-language broadcasts in Iran is not a provocation. Quite ironically, the Bush administration – unable or unwilling to capture Osama Bin Laden – seems to have benefited from no. 1 terrorist’s criticism in Iran. 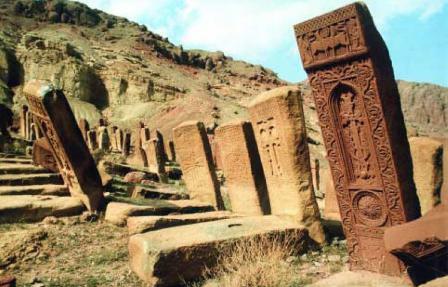 A newly discovered Armenian cemetery in Iran dating to the 13th century predates a famous UNESCO site it was found around. BBC Image: Situated in the province of Zanjan, Soltaniyeh is often cited as one of the crowning achievements of Persian architecture. 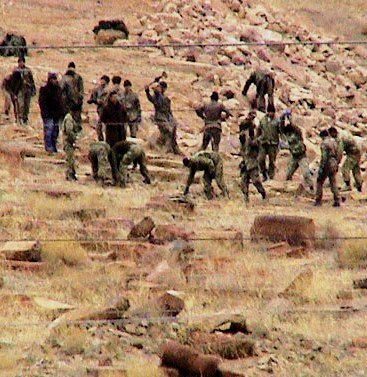 Discovery of an Armenian written gravestone within the sphere of Soltanieh dome lead to the discovery of a graveyard of Armenians from the Mongolian era by experts of CHTO and Armenian archeologists. The result of researches revealed the fact that this gravestone is related to Mongolian time, and there is a strong existence possibility of a graveyard near the mentioned sphere. According to Ghorban Zadeh, discovery of this Armenian graveyard near Abbas Abaad can help to discover the true history of Soltanieh dome. The rest of the inscription which dates back to the Mongolian age (1206-1405) was not legible. Historical evidence suggests that Sorghaghtani Beki, wife of Tolui Khan and mother of Hulagu Khan, the Mogul ruler, was a Christian woman. The inscription on the tombstone strengthened the case for the existence of such hallowed site for Armenian residents of the time. Soltaniyeh was the capital of the Ilkhanid rulers of Persia in the 14th century. 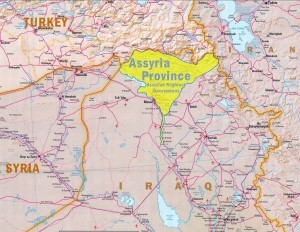 While native Armenian cemeteries are reduced to dust by the state authorities in Iran’s neighboring Azerbaijan, the Islamic Republic instead uses every opportunity – and archaeologists wouldn’t complain – to advertise its tolerance toward Christianity by promoting restoration and discovery of Armenian sites and churches. 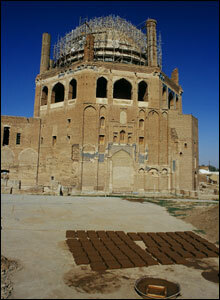 A list of Christian churches in Iran can be found here. According to the Russian-language “Real Azerbaijan,” Iranian citizens are fleeing to bordering Azerbaijan with a fear of U.S. attack against the Islamic Republic.